The personal computer business is in a poor state worldwide, and the Africa and Middle East region has not been shielded from the slump. The latest data from research firm International Data Corp (IDC) shows that PC shipments in the Middle East, Africa and Turkey declined by 14,3% year on year during the fourth quarter of 2014, to 4,5m units. Shipments of portable PCs declined at a rate of 18,2% to 2,7m units, while desktop shipments declined by 7,8% to 1,8m units. What’s to blame? Easy – the shift by consumers from traditional PCs to lighter and more portable form factors like tablets and smartphones. Wider product offerings and growing competition within the ultra-slim notebook and convertible notebook range has also caused the price of these devices to decline gradually, contributing to the growth in their demand, says the IDC. However, the absence of an optical disc drive in most ultra-slim notebook models is seen as an obstacle for the product category’s growth. 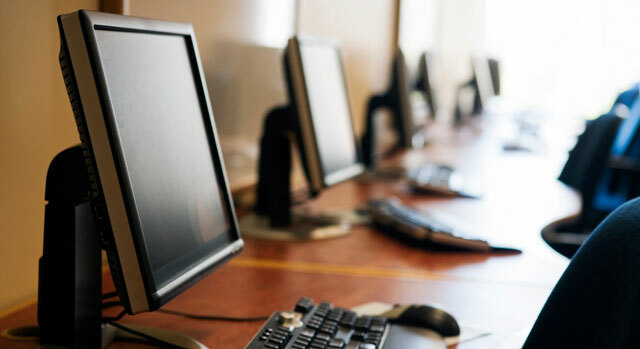 The weak rand and high unemployment negatively affected demand for PCs in South Africa, according to the research firm. Hewlett-Packard continued to lead the regional PC market during the final quarter of 2013. Despite experiencing a significant decline in shipments year on year, the company was able to maintain its market share in the region. Lenovo once again attained the highest year-on-year growth rate of all the top PC vendors and climbed to the number two position in the region. Dell, Toshiba, and Acer all experienced year-on-year declines to rank third, fourth and fifth respectively. Samsung’s revised strategy, which caused the vendor to divert its focus away from the volume business of notebooks, resulted in it drastically losing share across the region and dropping several positions in terms of ranking. The IDC expects the Middle East and Africa PC market to experience a slight decline for the year 2014. The decline will result from weaker demand for desktops, with portable PC shipments expected to remain almost flat year on year.